The transformerless Sunny Boy is the ideal solution, especially for demanding PV arrays and partly shaded systems. The high DC voltage of 750 V creates a cost advantage, since fewer parallel strings are required. In addition, the integrated grid management functions make the device suitable for universal applications and allow them to actively support the grid. Now comes standard with Webconnect for free online monitoring. 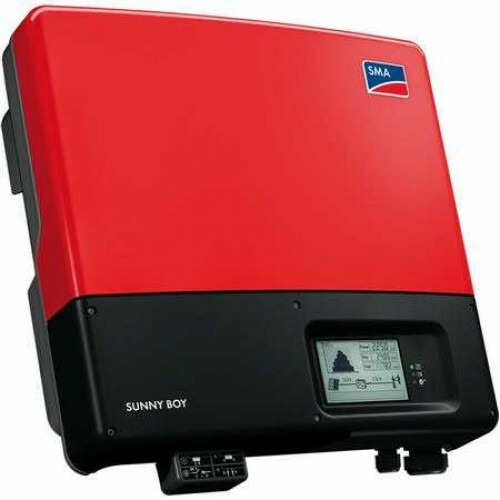 The Sunny Boy is the ideal solution, especially for demanding PV arrays and partially shaded systems. Enjoy proven technology combined with intelligent ideas. Cutting-edge technology that sets the standard. Concepts you can count on. Details that are simply superior. One of the greatest advantages of Webconnect is that data is transmitted directly from the inverter to Sunny Places and Sunny Portal - without the need for additional SMA devices. Electrifying detail: Thanks to the higher, 750 volt maximum DC input voltage, often times one less module string is needed because more modules can be switched on in a series. Thanks to multi-string technology Greater flexibility in planning, implementing and solar harvest: The advantages of multi-string technology in the new transformerless Sunny Boy are also available in the 3 kW model. Optional: Single Tracker for complex or simple roof structures or as an add-on to existing PV plants * Trademark protection is applicable in some countries. The wall mount has also been redesigned, and now allows you to attach the inverter easily by inserting it from above. Intelligent controls offer advantages in every situation: Thanks to its integrated grid management functions, the new Sunny Boy with Reactive Power Control offers universal deployment options and contributes to grid support. The user-friendly graphic display speaks a clear language: The dot matrix display can perfectly present any letter or symbol. Sounds good: The new transformerless Sunny Boy works so efficiently that its cooling concept no longer requires the usual fan.